Restaurant Review: Jefferson Social at The Banks | The Food Hussy! 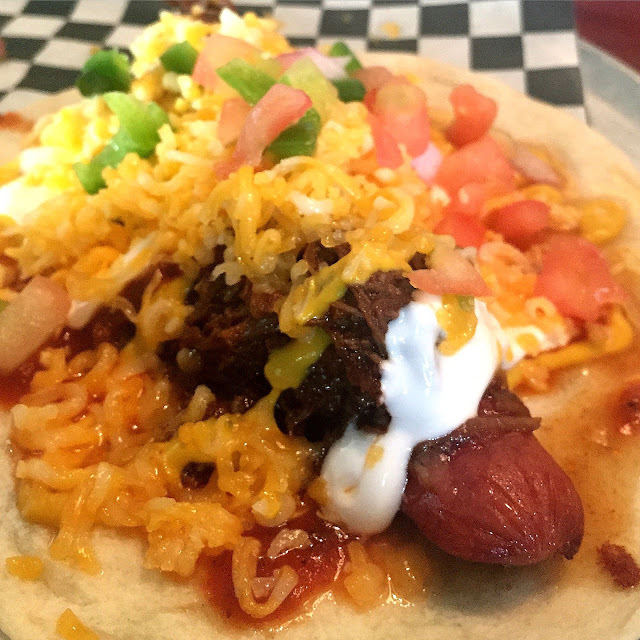 Taconey - braised Cincinnati chili short rib, all beef hot dog, mustard, crema, pico de gallo, cheddar cheese and house taco sauce. 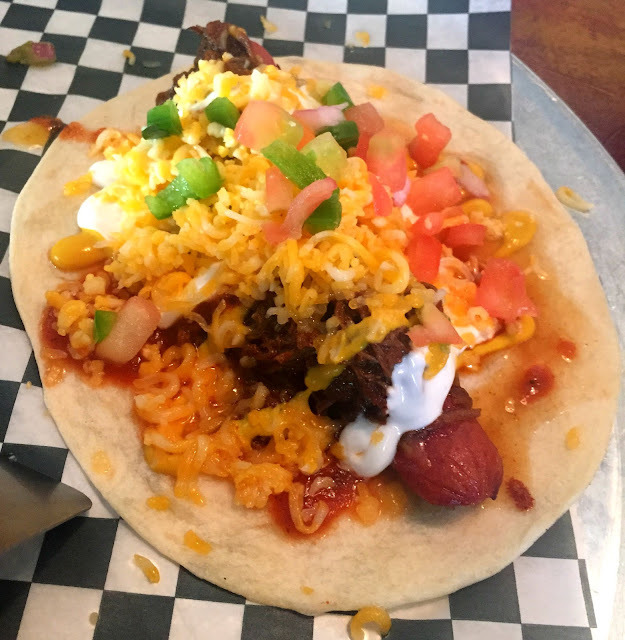 Yeah - seriously - a Taco and a Coney smushed together!!!! I mean - how can you NOT want to eat that? 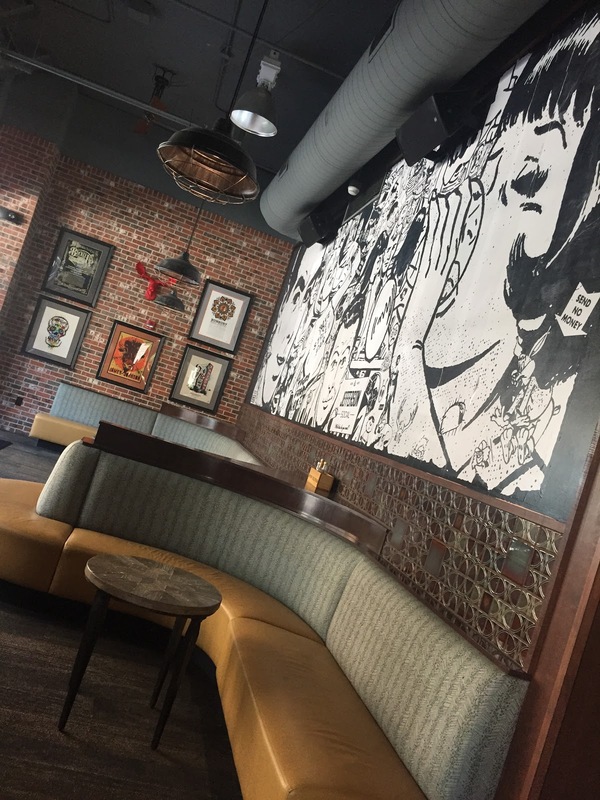 Inside - Jefferson Social is a pretty cool place - exposed brick walls - big art everywhere - lots of places to sit or lounge. So there it is - the Taconey ($4.50). Let me tell you right now - get this. Go now. Go tomorrow. Just go. Don't mess with the rest - just get this. Get one. Get two. Hell if you're real hungry - maybe get three. There's no Cincinnati chili on this but the short rib is braised in it and it just oozes the essence of Cincinnati chili. So then slather that on top of an all beef hot dog. But we're not done yet - the mustard, sour cream (crema), pico, soft shredded cheddar and some house made taco sauce. 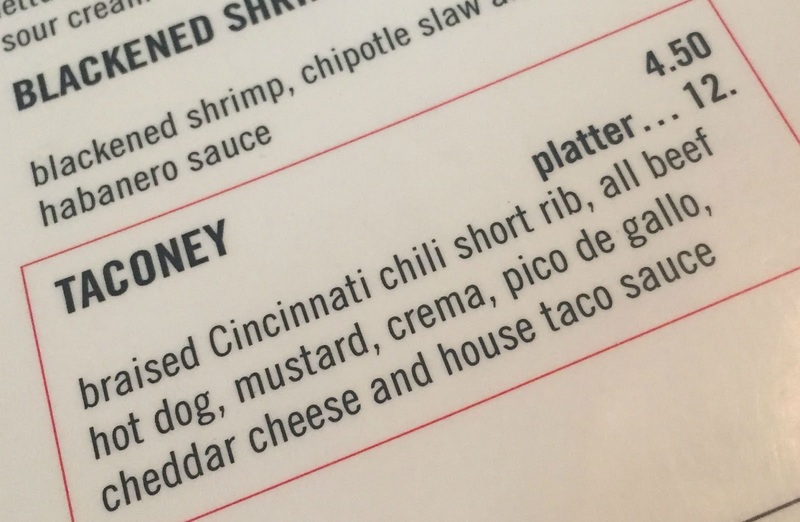 It's rich and creamy and cheesy and has a bite to it - oh I just can't say enough. It's messy and drippy and oozy and just freakin awesome! 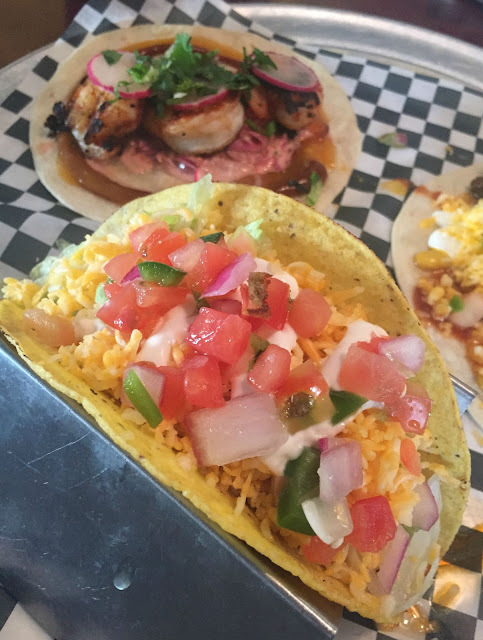 I also got the Social Supreme ($3.50) - this is a traditional American taco. Hard corn tortilla with seasoned ground beef, lettuce, pico de gallo, cheddar cheese and sour cream. It was fine - all well and good. Not the astounding shock of delicious that your Taconey - but still good. 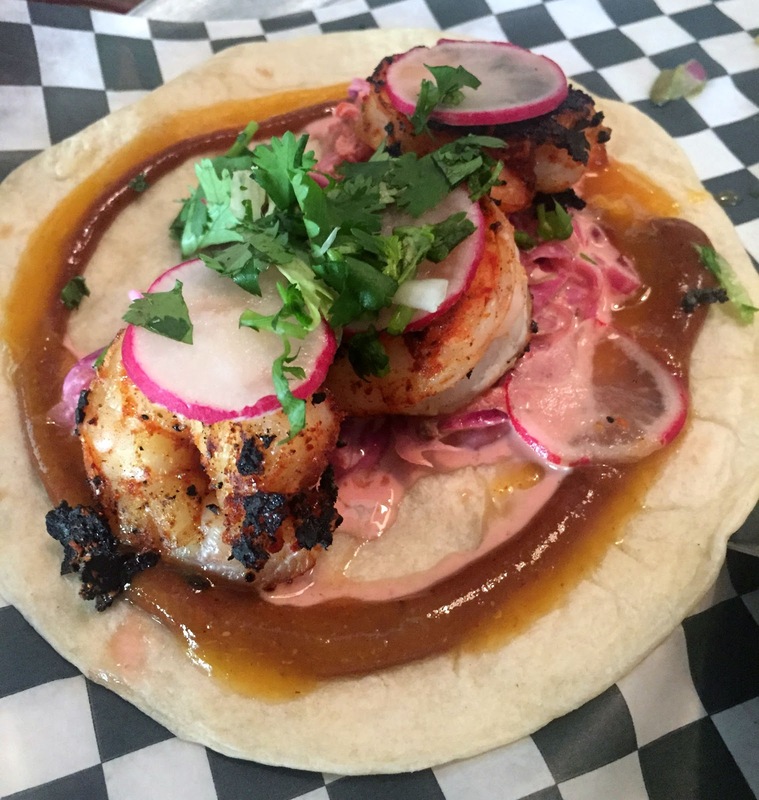 I also got the Blackened Shrimp Taco ($4.50) - with blackened shrimp, chipotle slaw and mango habanero sauce. It was fine. But again - not the Taconey. Oh my glorious Taconey. I'm kind of surprised I haven't been back. I might need to go back right now! And it was so good and so delicious looking that two of the people I was with got one after they ate their tacos! They admitted - they had to try it - and THEY LOVED IT!!! 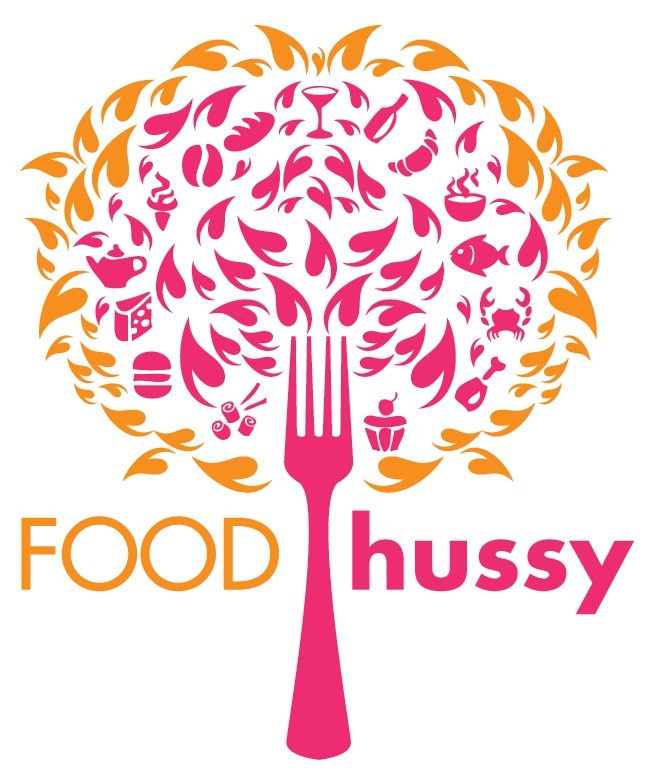 Duh - Food Hussy don't play when it comes to delicious ways to eat a hot dog. Why Should You Go? Taconey.